Finding an open stall in a large public restroom can be an awkward process, involving tentative presses on the door (hoping the locks are functional) and peeking under the door (hoping not to embarrass anyone, including yourself). A company called, yes, Tooshlights (stoplights for your toosh!) uses technology to help: when the door is locked, a light above the stall is red, while green means, well, "go." Similar systems are already on many airplanes, indicating when all lavatories are occupied - and honestly, they're handy. Battery-powered Tooshlight door sensors decline the opportunity to link with hardwired flush sensors - but those have their own problems. 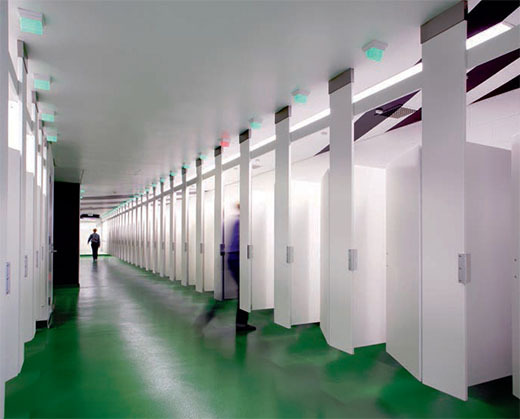 So overall, not a bad idea - and restrooms need all the good ideas they can get! The Epic Share-Icon Battle Royale! 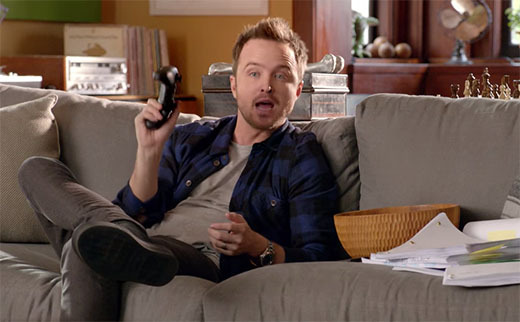 No matter what device or service you're using these days, you're probably being offered a button to "share" it. But this need is new enough that the icon for "share" hasn't yet been standardized - and the variations are quite, well, varied. Min Ming Lo gives a great overview, begs for standardization and/or sanity, and even suggests a new and clever milkshake-based option. I'm sure we'll see these variations weed themselves out over the next few years, so place your bets now: who will (or should) win the Epic Share-Icon Battle Royale?!? Airlines are a design area where a little change can have a big impact, because every product gets multiplied by millions of passengers and by the fuel cost to repeatedly lift that weight to 30,000 feet. 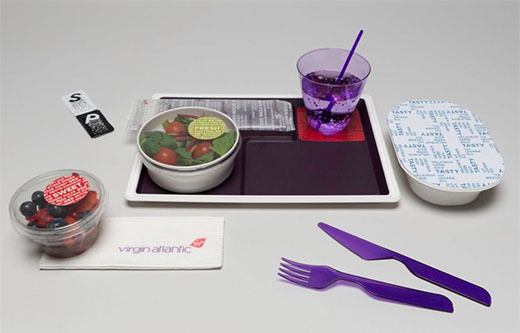 With that in mind, MAP's redesign of Virgin Atlantic's food trays stand to save the company quite a bit: shrinking the tray by a third and reusing it for multiple courses, and using a non-slip material that eliminates the need for disposable paper liners, the overall weight of the service setup is reduced by 291lbs per plane. There are quite a few other details to the design, discussed in Wired and Gizmodo articles - worth a quick read!